One of the people on the "Mueller Madness" bracket, Richard Painter, responded by telling Sanders to "put up or shut up." He seems to think this is "blasting him on Twitter," even though she wasn't the one who made the bracket in the first place. And a few conservatives completely agreed with her. 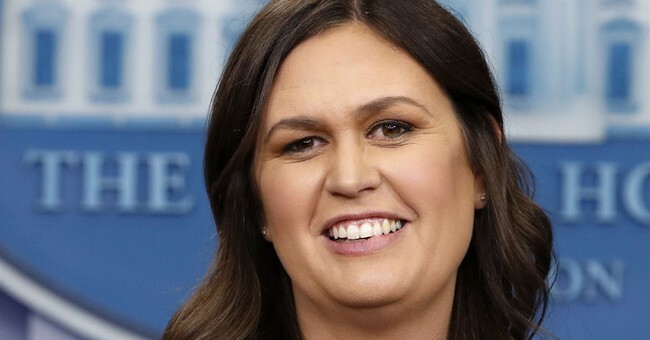 Press Secretary Sarah Huckabee Sanders on Monday shared a "Mueller Madness" bracket of various public figures who were wrong about the Russia probe. The bracket was clearly a hat tip to "March Madness" featuring college basketball teams. Naturally, liberals were triggered by the post. They made the assumption she wasted taxpayer money and resources to create the bracket. I’m sad I didn’t make this White House list because I really hate the corruption and lying in this administration, but I’m proud of @NatashaBertrand, who has made her mark early in life. I miss having respectable professionals in the White House. omg don’t you have any real work to do, like lying to the American people? This is awesome! When we’re done with this, can we do one with 68 bible verses that you and your family conveniently toss out the window when it serves your greedy interests? But the joke's on them. It turns out the New York Post's Op-Ed Editor created the graphic. It was part of an opinion piece he published.
. @PressSec tweets out a chart originally put together by the NY Post. Some of us still still decided to play. I got Rachael Maddow vs. Michael Avenatti in the final 2. Now there's two questions: who's your pick and what's the prize?